Aromatherapy is a treatment form aiming to improve both physical and emotional health. 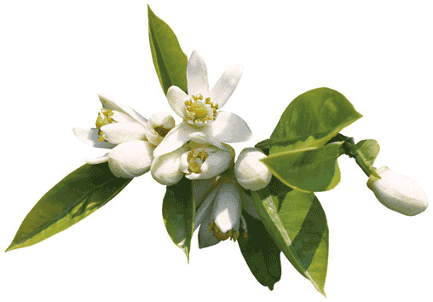 It is based on the fragrant and volatile essential oils that are isolated from aromatic plants. The effect comes from hundreds of active substances that the essential oils contain. Essential oils bring their effect, either through inhalation or through the skin. On the skin they are partly absorbed into the bloodstream, and through the nervous system they become a neurological brain impulse. The essential oils send a message to the body how to react i.e. activation or relaxation. Essential oils have been used for thousands of years as conditioning agents as well as fragrances. Aromatherapy professionals use the essential oils that are the most suitable for the client, i.e. in connection with a massage. At home a fragrance diffuser is one of the easiest and most charming ways of use. Essential oils are volatile and aromatic oils produced by plant glands. Although they are referred to as oils of their actual composition and the feel is not oily, but very lightweight and quickly evaporating. They are insoluble in water but they can easily be mixed with vegetal oils and in alcohol. Different essential oils can be mixed with each other for a certain desired effect or fragrance-mix. An essential oil is genuine when it is obtained from one plant species, does not contain any chemical extensions, and is not standardized by adding or removing components. Synthetically made "essential oils" or artificial perfumes cannot be used in aromatherapy. Several factors affect the quality of the Essential oils: the structure of the plant, its growing conditions, soil and light quality and also climate. 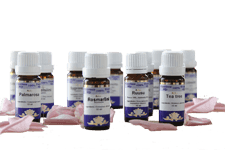 All Frantsila Essential oils are carefully selected, 100% genuine and are amongst the very best Essential oils that are available. They may i.e. relieve pain, act as diuretic, revive hormonal activity, blood circulation and cell metabolism. They are often antiseptic and destroy bacteria and viruses. They also have a positive effect on the mood. Use essential oils to create a pleasant atmosphere and as air freshener i.e. in a humidifier or a diffuser. You can also add a few drops in a spray bottle filled with water and spray in the air to fragrance your interior. Essential oil can also be sprinkled as such on sheets, carpets etc. Add according to personal preference a few drops of essential oil to 1 tablespoon of cream or neutral shower gel. Use the solution in the shower, bath or foot/hand bath. Add a few drops (1-2) of chosen essential oil to one tablespoon of neutral skin care or massage oil, such as Frantsila body and massage oils: Aroma Base oil, Herbal oil, or Ayurvedic oil; Vata, Pitta, Kapha, Shirodara. Massage gently into the skin. Add 1 - 3 drops in a cup of water and pour over the stove. Add 2 - 3 drops of essential oil in 1 to 2 liters of hot water cover your head with a towel and hold your face above the water for 2 - 3 minutes. Keep your eyes closed and beware not to get the water solution into your eyes. Mix your own perfume by adding 10-20 drops of essential oil to 10 ml of base oil (i.e. jojoba oil). Use like a perfume - but only very little - i.e. on wrist and behind the ear.